I’ve not done anything with my blog properly for a long long time, so I’ve decided that I shall try to rekindle my interest in my blog, since, well I’ve been busy doing so many things for so long for others, it’s about time I did something for me. Right so back to this post. Chaosium, the people behind the excellent Call of Cthulhu RPG have had a torrid time over the last few years. It seemed the Kickstarters for both Horror on the Orient Express and Call of Cthulhu 7th Edition really ‘broke’ the old Chaosium. However since those darker days a few years back it once again appears as if the good ship Chaosium is once again sailing through the good waters. Now that the new company is in place it’s easy to see that they’re focusing on their ‘bread and butter’, this being Call of Cthulhu but also the venerable Runequest, or RQ for short. I’ll do a post about the new RQ soon, and how I’m kind of involved in part of it’s evolution. Back to CoC. The 7th Edition has some important changes. Now the system is D100 based for everything, Luck is a resource, Major wounds are a real pain, and well, lots of dice rolling. The quality of the 7th Edition products though speaks for itself. Bringing itself upto date with ‘other’ RPG products, we see all the newer products, Doors to Darkness, The Grand Grimoire of Cthulhu Mythos Magic, etc are all filled with superb coloured artwork, not to mention page layouts that are also full colour and bring the range back together. I’ve been on a crusade though to pick up all their older 6th Edition books. Some of these books of course were the best material of those days, for example Spawn of Azathoth, a deadly campaign of investigation Mi-Go and lots of luck. One of my book shelves is now almost entirely taken by my CoC products that I have in print. I have lots more in PDF form (takes far less real world space), but recently I’ve needed the physical book, more to ‘tip’ my hat at them and show my faith in their products. I”ve continued to bring CoC products to the VTT Fantasy Grounds. 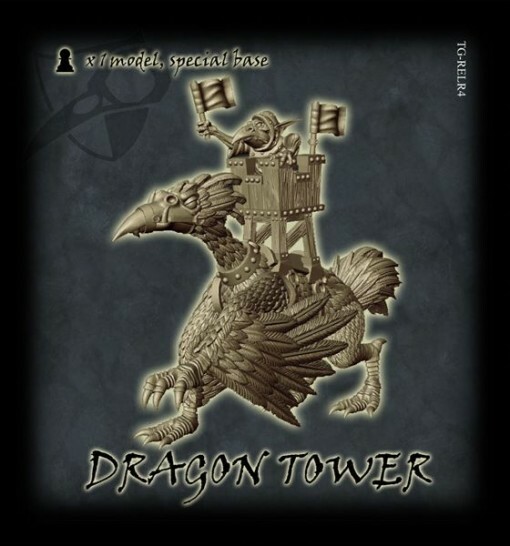 Still in my opinion the best VTT out there, and I’ve been converting the scenario books ‘Doors to Darkness’ (which we’re playing a session tonight) and slowly working on the Grimoire, both should be ready for the end of the month… but a lot more FG products are calling to me, sooo many. So we’re into April are we? Wow, who’d have thought that? Been a busy year for me, more recently I’ve dropped back into RPG’s rather than Wargames, mainly because I don’t have to cart around miniatures, buy more miniatures (that normally remain in boxes) or simply find I don’t have the evening for them. So why RPG? Chances are I have the ruleset, or have played it or it’s easy to learn. Getting a group of players together is proving to be hard. We’re all adults, some of us have kids, most of us have time demanding jobs and we all have other things that simply ‘get in the way’. So as a group we started a few years ago to use Virtual Table Top systems. 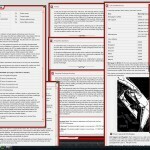 A friend of mine created his own server and using Mumble he’s ran a D&D game, we though used Roll20.net. It was a mixed experience… and one of the group found Fantasy Grounds, what a revelation – for a start, the dice that rolled on the screen agreed with what we all saw (unlike Roll20) and the whole UI and systems in place, roll the attack dice over the top of the Mob you’re trying to attack and voila! You get told if you hit or missed.. no need to check AC’s etc. 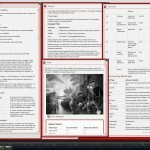 To get Fantasy Grounds, you need a GM with a licence (I have the Ultimate Licence). There are 3 licence types available, click this link ‘here‘ for more information, but you can use the Free Client if your GM has a licence (the type of players that can play with their licence depends on the type of licence). Simply put, it’s dirt cheap and opens up the world of RPG across the internet. Then for games like CoC you need the ruleset, which again if the GM has this, you all get access to it, kinda like passing the rulebook around…. enough of FG, I’ll be doing a post very soon about all of its features. So what have I been doing for FG? 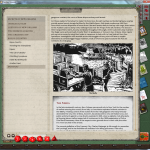 Since last September I brought my coding skills to Fantasy Grounds and I’ve now produced a good few modules, all for Call of Cthulhu – which still happens to be one of my favourite RPG’s, and 6th Edition is supported and 7th Edition is coming soon. Coming soon will be ‘Secrets of San Francisco’. I’ve done all the conversion – just going through now and double checking everything…. Fatal Experiments – 3 scenarios all in the same book. 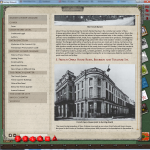 Canis Mysterium – A single scenario all about something not nice. House of R’lyeh – 5 scenarios! all in the one book. Beyond the Mountains of Madness – the EPIC campaign set in the Mountains of Madness. 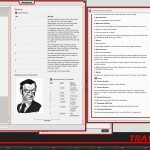 But there’s something else I’m working on… Traveller RPG. 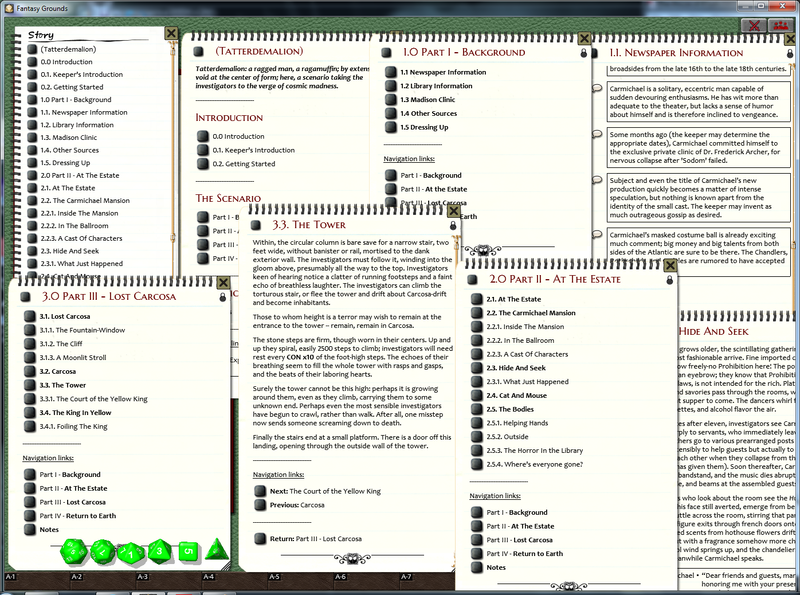 I’m converting Mongoose Publishings Traveller (now called 1st Edition) over to Fantasy Grounds…. 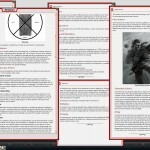 here’s a series of Screenshots of the Rulebook being converted. It’s safe to say I’m 80% done now…. More on this later though, need to finish it first! What a year it’s been. So much has been released for so many games that I’m not sure where I stand to be honest. It’s like creating a list of the best ‘Films’ you’ve seen in the last 10 years – each day (and maybe hour) you think different. I’m sure you’ll all agree that the best Horror film ever is ‘The Thing‘ (John Carpenter) but let’s move on, this is about 2015 and about games. Where do I start first? Let’s make a list. I’ll look at Tabletop War Gaming, PC Gaming/Xbox Gaming, Board Gaming, Roleplaying and maybe other things about gaming. So what were the 10 best things about 2015? These are in no particular order – they just speak to me, and thus are remembered…. When were they released? Back in June (end of) the Ridend finally saw the sun. Based on (in my opinion) Goblins vs Labyrinth Goblins they opened up a whole new faction for the game. Unlike the previous 4 factions they weren’t listed in that lovely rulebook. 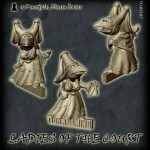 They also became the first figures that Tor Gaming used 3D sculpting for the entire faction. 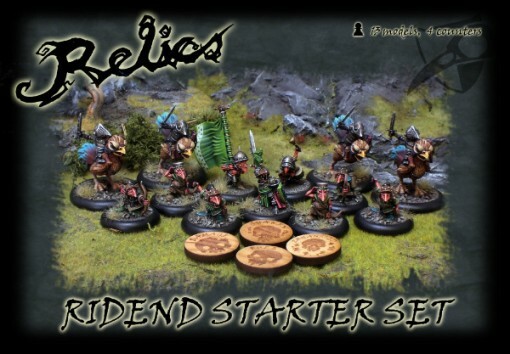 As I write this there’s a new Ridend Profile coming in January (I believe) – these are the Peasants. 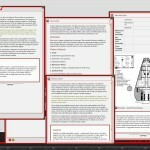 A sci-fi game written by Sir Rick of Priestly. Now before I continue I will say I’m not Ricks greatest fan. For me, he’s not a god – but he his a great game designer and has that ‘touch’. So when I started to see more about this game during the summer holidays I had to look into it. At the Derby World show I had a demo game and b00M! I was hooked. I loved the idea a simple human soldier (not a 7″ tall marine) could take down the most armoured of foe. Yes it requires a lot of luck, but it’s possible and that for me works very well. So I pre-ordered the new two player starter box, Xilos Horizon and awaited it to turn up. Great value I thought at £70 (I went direct so they got all the money – rather than off a retailer – who would probably discount it) and got the pre-order bonuses, the extra figures and a peice of average scenery. Still great value and since then haven’t had the chance to play a game! 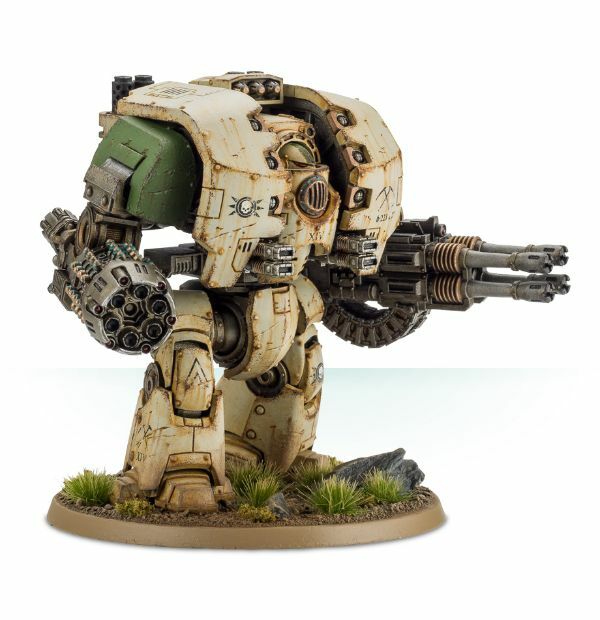 You can find more about it here, but note it’s NOT a replacement for 40k, it’s more modern and follows pretty much the system used in Bolt Action. Each unit gets to add a number of action dice and these are pulled out randomly. I still need to re-read the rulebook (I’ve read it once and skimmed it) but the info is all over the place. It could be I’m simply too used to technical books where all of the relevant information is normally contained together. Anyway there will be a blog post about this coming soon, following my progress building my Concord (then maybe painting – new glasses/hands required!). 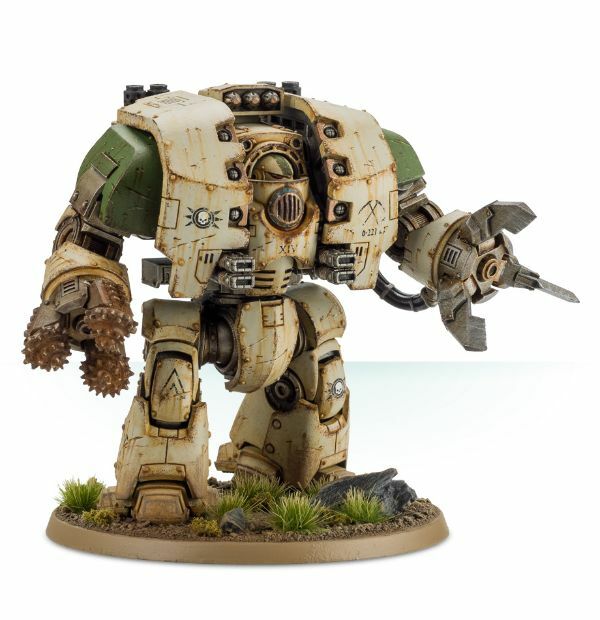 I can’t stop there either, the newer Leviathan Dreadnoughts are splendid – make me wish I had to time (and money) to play 30k still. I still plan though to continue building my Death Guard forces – more in 2016. Mixed reviews about this one, lots of moans – but it can’t be the same as FA3 otherwise you’d be bored after just 30 hours. Currently I’m 80 hours in. I’ve finished the main story (I went with the Brotherhood) and I’ve done a lot of the side quests and my toon is level 52 but I’m not done. Nope, still plenty to do. Bobblehead hunting at the moment, then will collect the magazines and complete all the current sub-quests. I may then re-play the game and do the other 3 endings…. or might focus on settlement (let a good few die off this time around!). If you do want to get the most out of the game, pick up the Survival Guide from Prima. They have a holiday sale on at the moment, so for $9.99 (about £7) you can pick up an online (not downloadable) guide which compared to a lot I’ve looked at, is pretty well done. Invaluable if you want to scour the complete wasteland without wasting much time, but do like I did, play the game, complete it and then get it. Now a game that really tickles my heart (and taxes my brain). I only got into this game during the early part of this year and have only played a few games of it but I love the models and the idea (and at the moment the randomness of the game). 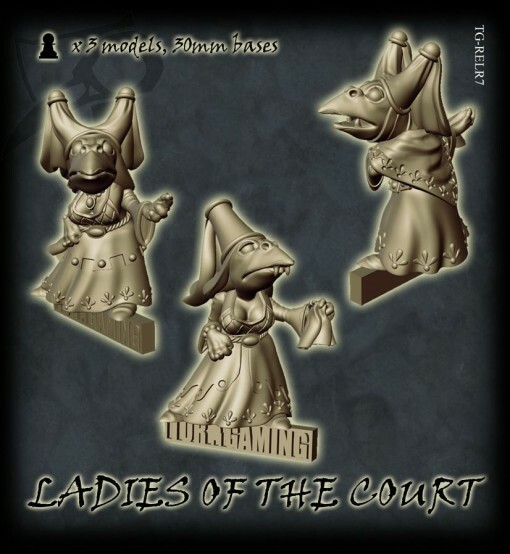 Wyrd games have got one hell (pun intended) of a release schedule and from what I know these are just the plastic re-sculpts of older metal miniatures. However I don’t care. Coming now(ish) and soon(ish) (I’m in the UK so have to wait) are 2 releases for the Resurrectionists, these folks, the Drowned and the Gaki…. 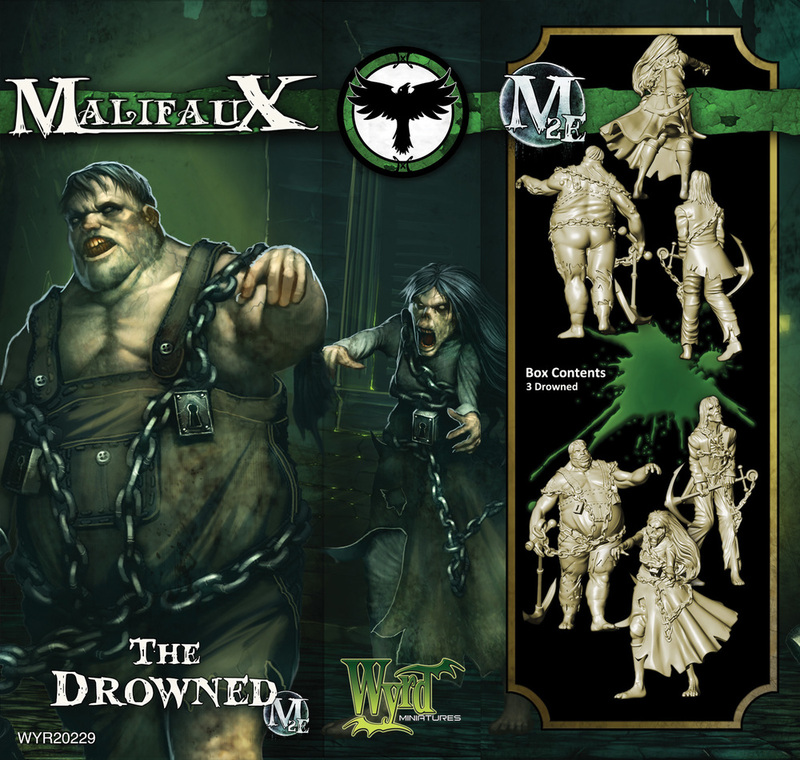 I’d also note that Wyrd Games were perhaps the first (that I noticed) to move away from studio painted to showing 3d sculpts and artwork on the boxes. Works very well as no longer does it make you think ‘that painting is great, I can’t get to that level’. A little known RPG but again a game that I love the idea behind. Think of this as the Victorian version of Hunter, so rather than being super hero player characters, you’re the unusual heros who take on the rippertech and use it to hunt down and kill off all those nasty things. I backed a Kickstarter for this in September (more a pre-order I think) but over the last 48 hours I’ve managed to download all the new stuff (I backed at PDF level) and over the new year I’ll be eager to see how it’s moved on from the 1st edition. Go here to find out more. 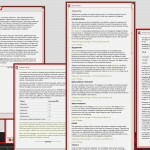 It’s a setting for the Savage Worlds rules, and I like these rules as they’re more light hearted and a lot simpler – a mix of online RPG and book based RPG rules. Worth looking into if you want a fresh system that can be applied to any setting. Technically it’s not ‘out’ in printed form, but Chaosium have finally released the PDF + Ebook versions of the rules for us all to enjoy. I backed the Kickstarter all those years ago and so hope that in earlyish 2016 I’ll see the physical books arrive at my door step. I can’t also wait for a few folks at Fantasy Grounds finish off the 7th Edition rules set – so that I may then convert over Horror on the Orient Express…..
Here’s the cover images for the main 2 rulebooks plus the keepers screen. 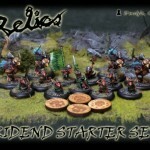 Go here to get yourself the free quick start rules. So that’s it folks, plenty happening in 2015 and I could go on and on and on, but I’ll leave it at this. Have yourselves a wonderful New Year and I hope to return far more regular in 2016. This year has gone Zoooooooooooooooooooooooooooooooooooooommmmmmmmmmmmmm it would appear. We’re in the middle of October already. Wow though what a year! 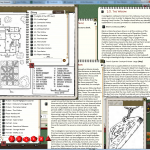 Right then, about 3 years ago my (old) RPG group was around the country (and some other countries) so we looked up about using the internet to play again. That was done and one of us picked up Roll20.net. It looked very good and it was very cheap and it did what we needed. Well we thought so…. after about 1 year playing we started to speak about some of the basic issues that there was with the dice. Nothing bad as such, but sometimes the dice that showed me wasn’t the same as what it told the GM and so on. So rather then dropping playing, we looked around and found Fantasy Ground. Wow. Within just about 2 sessions we all agreed that it was a lot better. We were playing Savage Worlds using a Pathfinder campaign and it just got better over the next few sessions. 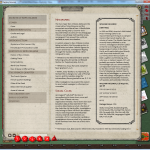 After that game was finished we changed to using D&D5 just as it was released. Whist our GM was looking at a ‘community’ ruleset for D&D5E for Fantasy Ground, after a few months it was released and he bought some of the rulebooks for it and swapped over. It was dead easy to use. I mean really really easy. 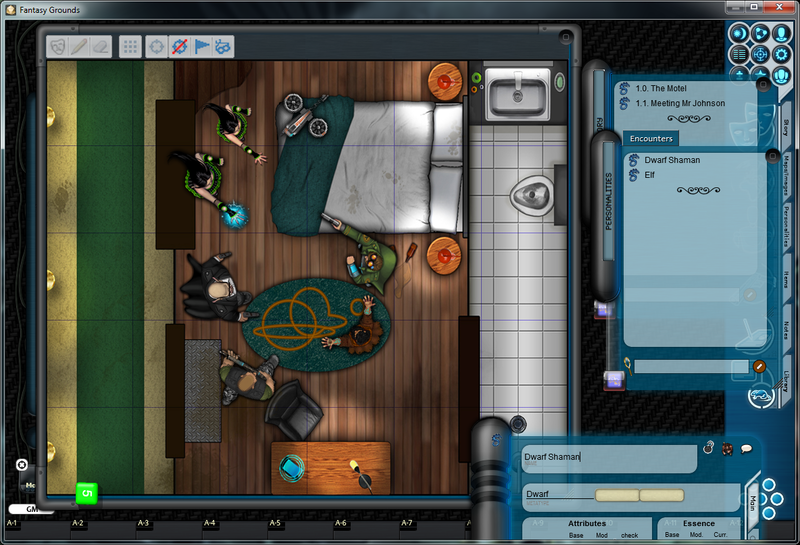 We added our character that we’d rolled outside and added our items and that was all we needed to do (as players). When we played it was just as easy for the GM. He bought an adventure that had inside all the maps needed, all the enemies and all the NPC’s and story and so on. So all he had to do was to read it, walk through it and then play with us! When we got attacked he simply clicked a button and ‘BANG!’ we could see who was attacking us. To see if we attacked and hit them all we had to do was to drag our ‘attack roll’ over to the NPC we were trying to hit and let it go. IF we hit (it checked out their AC and our roll and told it), it rolled our weapon damages and then told the everyone the damage and of course applied that to the NPC itself. Simple and quick. And this is where the best few months of my life have gone! I’ve learned loads and loads. It’s been great fun. But if YOU want to play some RPG over the internet with some friends, go and look at Fantasy Ground. It’s that great. Yes, really. At the moment they’re having a small sale for the Ultimate Licenses. It’s cheap I think, about £100 for it, which means that’s all you need to pay to have lots of campaigns and lots of friends who use the Free License. Here’s a list of what each License gives you. 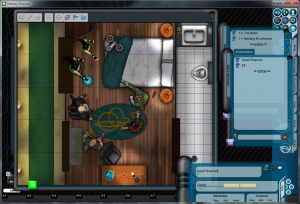 And finally here’s a few images of what you can see when you play (one is a Shadowrun Test Adventure – inside a Motel room and Fatal Experiment (the Keepers stuff!)). Right that’s enough, going to play some GW2 or work on the House of R’Lyeh book…..
Cthuhlu returns, well he’s trying not once, but twice! So folks, it’s been busy here… I go away for a few days then I hear that Great Cthulhu wants to take over the world. How is he going to take over the world? 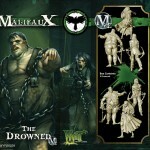 Well he’s not using legions of cultists (well he could be if I think harder about this), he’s using KickStarter…. As of today (12th June 2013) there are TWO different projects running. One by Chaosium for the 7th Edition Call of Cthulhu RPG rulesbook, and the other by Sandy Petersen called Cthulhu Wars (Boardgame) (and Sandy is also involved in the Chaosium project, busy man!). Those of you who follow this blog will know that last year I backed the Orient Express project (still waiting for it) and I’m a big fan of Cthulhu ever since playing the 3rd edition RPG rules back in the 80’s. Anyway so let’s investigate these projects. Today I shall investigate the 7th Edition RPG, so i make a roll…… an 08! Not bad and below my Library Use skill of 41. 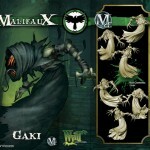 This is my personal favourite and was the first of the 2 Cthulhu projects I backed. I have sitting on my shelves two copies of the GW printed 3rd Edition (don’t ask me why I have 2 copies) and I have the 25th Anniversary Edition (Green Leatherette) and a softback 6th Edition. That’s plenty so why do I want more? Sadly 2012 saw the passing of Lynn Willis. A chap who has been instrumental in the CoC universe since it’s inception and I believe they saw this as the opportunity to look at the rules and bring them upto date with the newer/updated rules sets out there. I also believe they want to issue a new version with new blood involved to allow them to rejuvinate the brand. So what’s so special then about this? 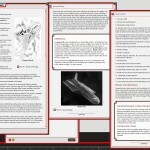 Well you could read it on the KS project located here, but I’ll recap things for you. Pushing skill rolls. You may now re-attempt some skill roll you failed if you can justify it, but it may be even harder.. Combat Melee has been revamped. Now we have Combat maneuvers rather than the Grapple Rules. On top of the revamped Keeper’s Rulebook they’re also releasing an Investigators Handbook, aimed, oddly enough at the players. That sounds like an excellent addition to the Keeper’s Rulebook, I just hope it really expands upon the main rules rather than muddy them up and confuse the main rules like some expansions do. Now these main books are coming out in 4 different forms. You have PDF (for those (like me) who tend to use a tablet rather than a book), Softback, Hardback and for the Kickstarter only, a special Leatherette Edition that’s very similar to their anniversary editions. That means that they’ve had stretch goals added and as of today ($225k reached) a rather lot of them have been unlocked. Scenario Floorplans – Updated and enlarged over the originals that were to be included. Keeper’s Rulebook Colour Plates – New colour plates to be added to the Keeper’s Book. 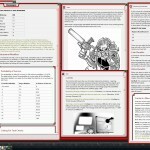 7th Edition Keeper Screen – Added to all pledge levels that will receive a printed Keeper’s Book. 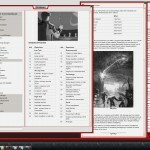 Two Colour Layout – Both books receive 2 colour layout upgrades. Certain pledges will receive a dice bag with custom dice. Big-Big Art Boost – more art for the main books, plus the ability to purchase ‘the direction’ of a piece. 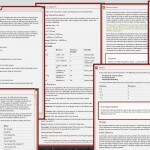 The Evidence File – additional content for Keeper’s to bring life to their games. 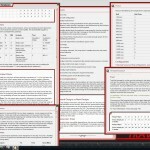 Keeper’s Rulebook will also receive an enhanced Index. The Phobia Deck – a set of oversized cards detailing the Phobias. Added to the pledges receiving the leatherette rulebook. Nameless Horrors – a PDF of 7 newly written scenarios. Print copies are added to certain pledges. Cthulhu Through the Ages – a PDF detailing Cthulhu in other periods of history. Available to every pledge that receives the Investigator Handbook. 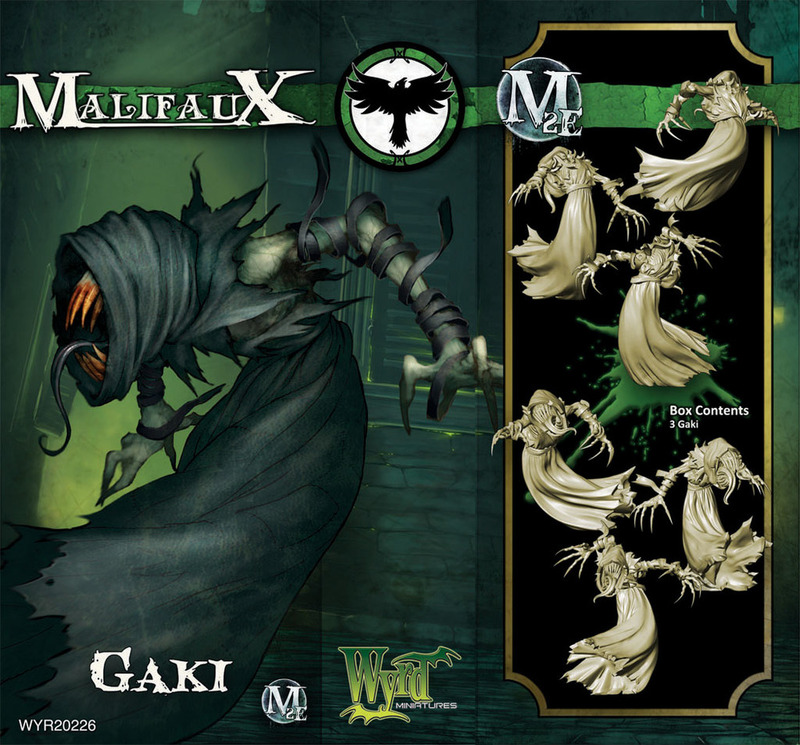 The Curious Character Deck – a set of oversized cards detailing various Characters (Cultists, Mobsters etc). Added to the pledges receiving the leatherette rulebook. Phew! That’s it for the moment. They do have 2 more stretch goals already list but more money is needed to unlock these. My only issue I have with this ‘extra’ stuff, is that it’s getting a bit thin. I’d prefer to see the book produced in full colour. I’d prefer to see more content added to both books, for example equipment prices and availability for the main genres of the game. Basically I’d prefer to see content that enhances the main books. So I went for the NICTITATING NYARLATHOTEP, THE MESSENGER which at current conversion rates is around £215. I need to add shipping of £15 to this, so do I feel that I’m getting a good deal for my £230? Yes I think so, plenty of stuff but for £100 for each book I’d be expecting full colour and basically works of art like the Forgeworld Books. Here below I have linked the KickTraq statistics so that we can see where it’s at, for example since I started writing this blog, it’s gone up another $1k. One thing that I’ve forgotten to mention is the fact they’ve added the Curiosity Shoppe. This allows you to buy the items that you may not receive if your pledge isn’t high enough, but also stuff that no-one receives automatically, a couple of t-shirts, art direction and maybe something else. Anyway that’s all for this blog post. Basically one of my favourite pastimes’ favourite games is receiving a make over, an upgrade, an update. I welcome that and I want to be helping with it. I would ask that you all do the same. It’s a great game, a great brand and it’s responsible for so much of the games (board, RPG and computer) that we see these days. There would not of been the Hellboy comics either I would think.. anyway I’m going back in time. So please back it. Let’s make this the best it can be. 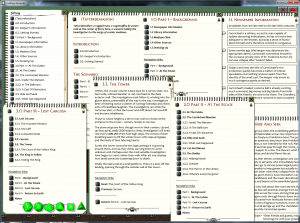 Horror on the Orient Express…..
I’ve been RPGing for more of my life than I haven’t. Tomorrow night in fact I’m running a Call of Cthulhu game for 6 other wargamers who wanted to get back into RPG. This will be the 4th session and we play every 2-4 weeks depending on what our lives are doing. I loved Call of Cthulhu sessions back in the late 80’s, during 90’s and very early 2k’s, but not done any since I moved up here just over 8 years ago. So this is a quick post, I should have done this a month ago or so but I’ll do it now. Chaosium – the people who print the RPG are using Kickstarter to basically help pay for a re-print of the 90’s Campaign ‘Horror on the Orient Express’ you can find the details here. WELL-HEELED DILETTANTE — Patrons of this tier travel in comfort, style, and only keep the best company. Of course, you receive all CONDUCTOR benefits, plus all Hidden Benefits (with future benefits to come), with postage paid to any location. Need we mention luggage? Your goods will be packed in a fashionably small steamer trunk of faux-byakhee leather. Each trunk bears a metallic plate, consecutively numbered, identifying this as part of the ORIENT EXPRESS project funded by Kickstarter. This is a LIMITED EDITION item of 500 copies. We will allocate low-numbered copies to PENULTIMATE TRIP backers first, then SHEER CHAOS, EPHEMERAL DINNER, ONE-NIGHT AT GENCON, STRANGERS ON THE TRAIN, ROGUES GALLERY, ANCIENT HISTORY, and then WELL-HEELED DILETTANTE backers in that order and in order of support.